Exploration success has been transformative for junior resource companies and their investors over the years. So what happens when the likes of Imdex, RPM Global, Minerva Intelligence, MineSense and Orexplore hit paydirt? If you’ve never heard of them, read on. As miners and even now their investors continue to talk the talk about technology and its potentially “disruptive” impact on discovery rates and production profits, one can’t help but wonder if the modern versions of the suppliers of ‘picks and shovels’ of booms past will bank the big bucks they did historically. Today’s versions? Well, they would be providers of the digital-age technologies we’re hearing so much about. Companies such as Vancouver-based MineSense and Minerva Intelligence, ASX-listed Imdex (IMD) and RPM (RUL), and Sweden’s (Australian-owned) Orexplore. These companies indirectly offer leverage to copper, gold and battery minerals. They offer exposure to global markets. They’re all presenting exploration and mining companies with smarter, better ways to tap the rich lodes of data to deliver the insight that can speed drilling programs, or materially change the bottom line of a mine or production hub. Imdex, MineSense, Miverva, RPM and Orexplore are all talking about information that, used the right way, can add hundreds of millions of dollars, and even billions, of value to sectoral returns. That translates into addressable markets that started to get the attention of the world’s big information technology corporations in the past decade: Google, Amazon, IBM, Microsoft and Apple. And a bunch of lower-tier firms such as Hexagon, Dassault, Schneider and SAP. And numbers that may draw much-needed new investors and leadership talent into the mining tech arena. MineSense is an example of this already happening, with CEO Jeff More joining the start-up from Maxxam Analytics in 2015 and leading the firm through major equity funding rounds that have put more than US$30 million in its treasury. No mining tech firm has achieved that level of backing before turning a dollar of revenue, let alone reporting a profit. If it’s successful in its efforts this year to commercialise and ramp up product deployments, MineSense will become a poster-child for the next generation of METS (mining equipment, technology and services) start-ups. Minerva Intelligence, progressing toward a mid-year Toronto listing, could be another. Veteran geologist and former Anglo American AI prodigy Clinton Smyth is busily hiring and expanding Minerva’s Vancouver office space. The Pala Investments-backed company, which raised C$1 million of venture capital last year, is looking at a $2-3 million IPO. Being predominantly focused on exploration, at this stage, Minerva does carry with it the risks of exposure to that market, but Smyth is already developing the company’s connections in others, including medicine, metallurgy and environmental services. “Once we’re ticking along nicely in geology, we’ll turn our attention to other verticals,” he said. “Both ontology editors we use come out of medicine. Minerva claims the use of AI will change the way companies explore for mineral deposits in future, forcing them to focus on collecting standardised exploration data in a form that lends itself to interoperability, machine learning and machine reasoning. Historical exploration put little emphasis on standardisation. “The idea was to embed what geologists knew into computers,” Smyth said. “Machine learning is very much the darling of the AI industry at the moment, but for machine learning to work you need hundreds of thousands of examples and we don’t have hundreds of thousands of porphyry copper deposits, or even hundreds of them. We’ve got tens or scores of them; not enough to do machine learning. MineSense’s More said an IPO was one option the company would look at once it commercialised its mine production management technology. “We believe we’re still a few years away from an exit,” he said. “It could happen earlier but … we believe that the best way to maximise the valuation is to grow the business. We’re just commercialising and getting into revenue now. In some ways Imdex and RPM Global typify the old METS company model. But acquisitions and serious investment in R&D have transformed them both in the past few years, so that they currently provide about as pure a form of public-equity investment exposure to mining technology uptake in the next decade as exists at the moment outside of private-investor hands. RPM is perceived as a desktop software (and consulting) company. But CEO Richard Mathews, ex of Mincom and JD Edwards, had a different plan when he bought into the company in 2012 and has overseen the acquisition of seven businesses, and IP, and added new institutional investment support along the way, in the pursuit of unique planning and execution systems and development of the industry’s first open-standard commercial off the shelf enterprise planning platform. With a customer base inflated by the companies it has acquired, and early take-up of new products, RPM has a formidable business development pipeline for a company its size, and is now positioned to play in a market worth many times its current A$50 million-a-year of software sales (in $75 million total). A current market value around A$141 million belies its lofty earnings potential in the next few years, and the fact that is has A$20 million in the bank and no debt. Imdex is similarly poised to reap the benefits of extensive product R&D and a sound M&A strategy. 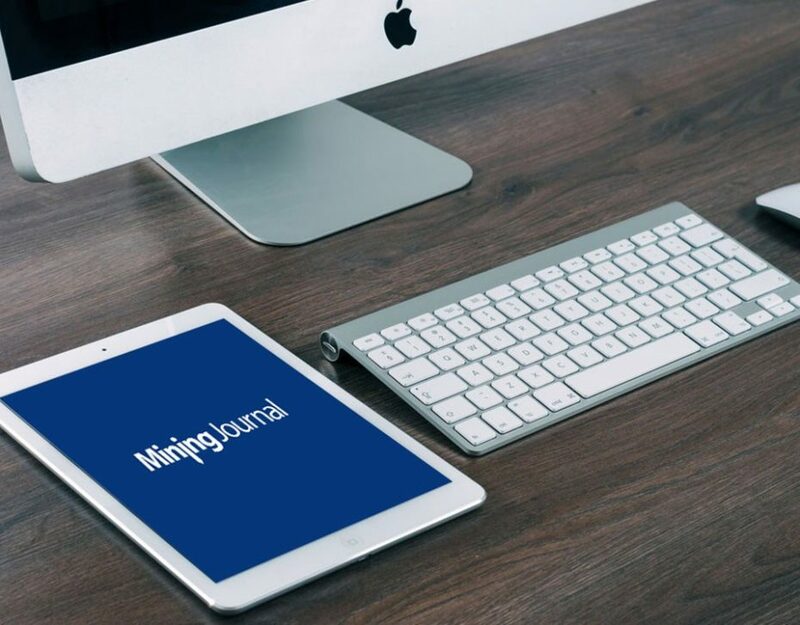 As noted in a recent Mining Journal report, the company’s last annual general meeting in Perth heard that sales of its “real-time subsurface intelligence” technologies led a rebound in business before global mineral exploration spending turned upward last year. Managing director Bernie Ridgeway said Imdex was seeing strong growth in the Americas – which accounted for more than half global mineral exploration spending – and broad market acceptance of site and cloud-based drilling information management technologies. “We aim to own the subsurface intelligence space in the industry and we are on our way to achieving that objective,” he said. Ridgeway told Mining Journal the market for the company’s technology suite could be worth US$700 million a year. “Disruption has occurred in all other industries and it was only a matter of time for it to occur to the minerals industry,” he said. “Large resource companies are restructuring to include innovation or technology departments that are focused on embracing technology and automation. These are positive developments and the rate of change is increasing. Also worth many billions of dollars a year is the traditional mineral assay market, which could be disrupted by new generation fast and site-based, rock X-ray technologies developed in Sweden and Australia. Dependent on its commercial success – now being tested with the arrival of early GeoCore machines in Australia – Orexplore could be spun out of successful drilling contractor Swick Mining Services (ASX: SWK) at some stage. Swick Mining founder and managing director Kent Swick said he saw Orexplore as a business that could one day be worth many times the drilling company’s market value. “There are three majors in the assaying world and I think we could be one of them, eventually,” he said. Swick said Orexplore could generate first revenues in 2018. “We’ve got trials lined up with major mining houses that have shown interest. If they press the button and get on board we’ll have a very large company very quickly,” he said. Find out why IMDEX has been selected as one of Mining Journal’s key tech players to watch in 2018, alongside companies such as RPM Global, Minerva Intelligence, MineSense and Orexplore.